The official said if anybody felt he/she was overcharged, the person concerned should contact the sales manager of the showroom immediately. “If they do not get a satisfactory answer from the sales manager, they can log on to transportcomplaint.mahaonline.gov.in to file a complaint. They can also contact the RTO through any other means or directly approach the anti-corruption bureau,” the official said. Last week, the RTO stated that the dealers would have to do away with the RTO handling charges. They were advised to display notices in showrooms for the benefit of the people. “Those buying vehicles should exactly know what they are paying for. 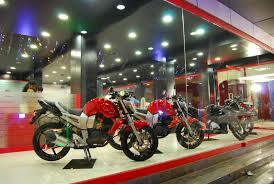 The representatives in the showroom should tell them about all the charges and provide them with proper receipts. Money cannot be charged without receipt. Once the vehicle details come to the RTO for registration, the official will cross-verify that the buyer has the receipt and has not been charged extra. If the RTO finds there are discrepancies, an investigation will begin immediately and the dealer will face serious action,” the official said. Dealers tend to charge buyers additional money between Rs 2,000 and Rs 5,000 or even more as RTO handling charges for vehicle registration and documents. “The motor vehicle fee depends on the cost and engine power of a vehicle. But the registration fee to be given to the RTO remains the same,” deputy RTO Sanjay Raut said.